On March 25, 2018, Adobe, a software company, hosted its annual Adobe Summit in Las Vegas, Nevada. The conference had “experience” as its theme and brought together influencers from all walks of life, from the founder of NVIDIA, Jensen Huang, to Sir Richard Branson. Adobe teamed up with 12 students representing eight high schools in Charlotte, North Carolina, from the 11-largest school district in the U.S. This was facilitated as a part of the We Are Generation Z initiative and Career Technology Education Program, a new trend in interactive education. Adobe empowered the students to act as influencers and report on their interpretation of what they see and hear. I got the chance to sit down with four of the Generation Z representatives. In a candid conversation we discussed data privacy, social media and the growing importance of visual content to convey information all through the lens of personal experiences. 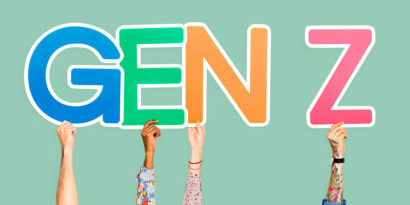 Each of the four Gen Z representatives that I spoke with – all seniors in high school and participants in the CTE program – showcased varying perspectives. Damien Watson Jr. shared with us that it is his goal to start a non-profit that introduces minority groups to interests beyond athletics. Jogle De Leon is currently studying 3D modeling, simulation, game design and posts his graphic work regularly on Behance, Adobe’s social portfolio platform. Alana Jones is a certified Adobe associate and is working toward her goal of joining the military after graduation. 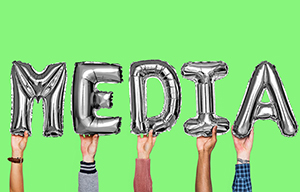 Social media enthusiast and community activist, Avery Primis, has spoken publicly about generational differences in social media. The rest of the Gen Z team was stationed back in Charlotte and was responsible for manning the social media command center. They included Marco Garcia, Nina Merritt, Ashley Dickenson, Patricia Garcia, John K Bell, Harmoni Riggins and Trent Couse. Trent, a senior data analyst, was responsible for analyzing the engagement of his fellow students on Twitter, in order to optimize their effectiveness throughout the summit. When it comes to data privacy it appears that Gen Z is rather desensitized to the request for access to their personal information. As Damien describes it, “if someone really wants to find something out about you on the internet, they can. So I’m pretty open to my information being shared.” Alana is willing to make a trade-off, stating, “If you are going to use my data I want to know what you need it for. That way, I know that my data is being used for a purpose.” It is possible that widespread acceptance of personal data collection as the status quo could get in the way of realizing its long-term ramifications. Across all generations, instantaneous gratification in return for personal data distracts consumers from considering the impact that carte blanche access to their information will have twenty years from now. As Alana noted, data transparency as it relates to the purpose of its acquisition plays a role in her willingness to provide it. It is important to note as we move from awareness to managing data privacy, that intention and value to consumers differ drastically based on the industry and players involved. In the music industry, access to consumer data and understanding how fans are listening to their music is vital to grow and sustain an artist’s career. When speaking to the representatives of Generation Z, their clarity and awareness towards social media and the environment that it creates was apparent. According to Avery Primis, social media is creating an increasingly large number of job opportunities from social media influencer to managing a brand’s social presence. Social media also creates opportunities to communicate with different industries and people all over the world. However, when touching on its negative side effects Primis stated, “I can see a spike in mental health issues because of social media.” The students went on to describe how they felt that social media was impacting their generation’s people skills. Damien elaborated on this saying, “I feel like we create a persona online and are so open on social media and when it comes to talking and having a conversation in person we lag in that category.” Beyond social media, the web facilitates a commercial arena where content is in abundance. Across all generations, the challenge now becomes: how do I most efficiently determine the information I need from the information I do not want. In Alana’s view, “there are so many things that you can do with an image, if you can convey information with a picture, you have done your job.” When I asked the group if they felt like their attention span was shorter than their parents’, the unanimous response was, “yes.” In Jogle’s view, when speaking about how best to garner that attention, he explains, “To me, the design is the most important part because it guides your interpretation, which is the most important part of the marketing.” Beyond just standard emoji’s, the need for visuals to communicate complicated subjects is becoming increasingly apparent. Taking the time to understand the perspectives of Generation Z and generations to come is vital. Their interpretation of our current environment foreshadows the future. It is time we start paying more attention. Kristin is the CEO of Westcott Multimedia, an advertising technology and software firm that leverages streaming data to optimize online engagement for the entertainment industry. 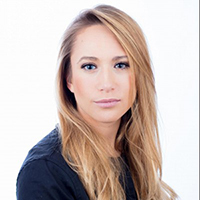 She is originally from Toronto, Canada or as Drake calls it, “The 6.” As a contributor at AudioMicro, she writes about the business of music technology, media and entertainment. Previously Kristin managed Global Playlist Strategies at Universal Music Group in Nashville and worked as an Entertainment Analyst at Magna Investments in New York City. She received her Masters in Music & Business from New York University’s Steinhardt School of Culture and studied at the Stern School of Business. Her work has also appeared in Billboard, The Hollywood Reporter, Medium and The Hook Brief.